Nigerian Stock Exchange Building in Lagos. The Nigerian Stock Exchange (NSE) has commenced the reduction of the cost of its Trade Alert Service by about N1.24 billion from March 2014. This will scrap the current charge of 0.6% of every trade on the exchange and introduce an enhanced notification system called X-Alert, which will be charged at a fee of N4 per transaction. “The big difference for the investing community is that rather than pay 0.12% of every trade round trip, investors will now pay a flat fee of N4.00. Based on 2013 figures, the trade alert charge with the old system was N 1.25billion; with the improved notification system however, the annual cost of the alerts would be some N5.52million based on a N4 flat fee – that is a reduction of N 1.24 billion per annum in the cost incurred by investors transacting in the market”, it added. As mobile phones take centre stage of all our lives, the Nigerian Stock Exchange market wants to go with the times. 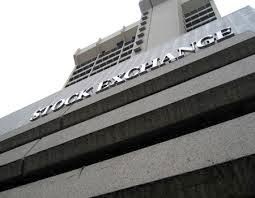 The Nigerian Stock Exchange (NSE) has announced the launch of an enhanced notification system, X-Alert which will be charged at a flat fee of N4 per transaction thereby reducing the cost of its Trade Alert service by about Naira 1.24 billion. The firm will also remove the current charge of 0.06% of every trade on The Exchange. X-Alert will ensure that each time investors buy or sell a security, an alert is sent to them via a Text Message to their mobile phone or via an e-mail to their mailbox. Mr Ade Bajomo, Executive Director of Market Operations and Technology at The Exchange said X-Alert will allow the investing public know when a transaction has been made on their account. “Each time investors buy or sell a security, an alert is sent to them via a Text Message to the recipient’s mobile phone or via an e-mail to the recipient’s mailbox. So what that does is to bring real time notification plus transparency to the market at market rates while safeguarding against unauthorised sale or purchase of securities” said Bajomo. Rather than pay 0.12% of every trade roundtrip, investors will now pay a flat fee of N4.00. Based on 2013 figures, the trade alert charges with the old system was some N 1.25billion; with the improved notification system however, the annual cost of the alerts would be some N5.52million based on a N4 flat fee – that is a reduction of N 1.24 billion per annum in the cost incurred by investors transacting in the market. According to the Managing Director of CSCS, Mr. Kyari Bukar the enhanced service is delivered in real time to customers and urged all customers to provide their brokers with up to date mobile phone numbers and email accounts to enable the notification system work effectively and provide timely update on all account transactions. The service is expected to help reduce fraud in cases of unauthorized transactions on account, reduction in time spent confirming trades and an enhancement of transparency between the trader and its clients.